With the release of the Statement on Social Justice & The Gospel, a renewed conversation has been happening around the inerrancy of Scripture. We also got into a long, private discussion on what a real believer’s view of inerrancy must be. In light of that, we go back to our roots as a “micro-podcast” (remember when that used to be our thing?) 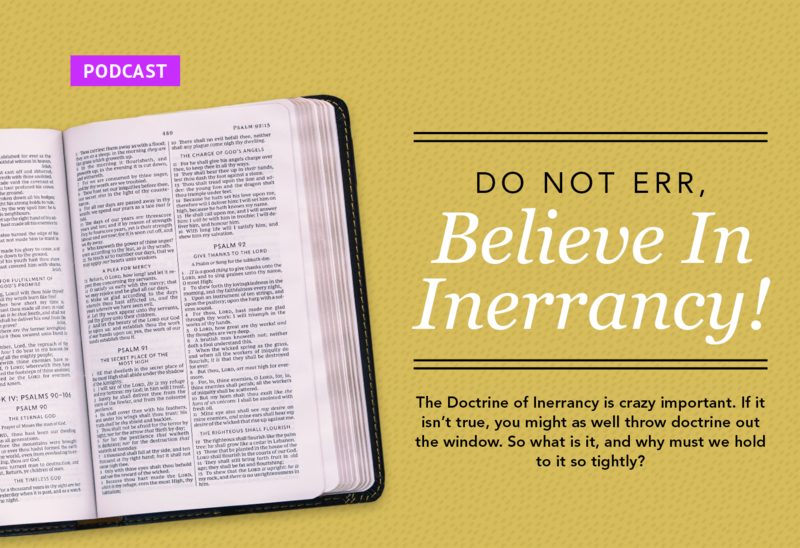 and quickly cover what you must know about the doctrine of inerrancy and why we think it is vital to the faith. 7:47 Why are we discussing inerrancy? 12:25 A very basic definition of what inerrancy is. 18:00 What does this mean for us in how we view and speak about the Scriptures?